Have a question? Got a Collaboration challenge to solve? Let us help you find the answer. Call 0118 9798910. 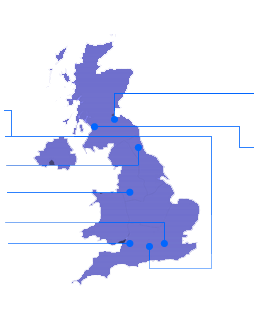 Whether you want to discuss your project or business challenges, compare solutions, get a quote, organise a demonstration or find out more about a product or VideoCentric, our consultants are experts in visual communication and are happy to share their knowledge and arrange a date for a no pressure discussion at a time that suits you. Contact us today and talk to one of our specialists. Call us now on 01189798910 or use our contact form. Our team look forward to talking with you. Looking for how to find us? See our maps & directions here. To ensure a speedy & accurate response to your support enquiry and to ensure all faults, issues and reporting is recorded & managed most efficiently, we would recommend contacting our support team via email, stating your issue, contact details and any relevant information i.e. Equipment Serial Number. This will enable us to deal with your enquiry as quickly as possible. All enquiries to marketing@videocentric.co.uk & accounts@videocentric.co.uk.